There were many potential winners this year but only one man and women gets to receive the award each year. Being part of the nominated is in it self a great feeling. 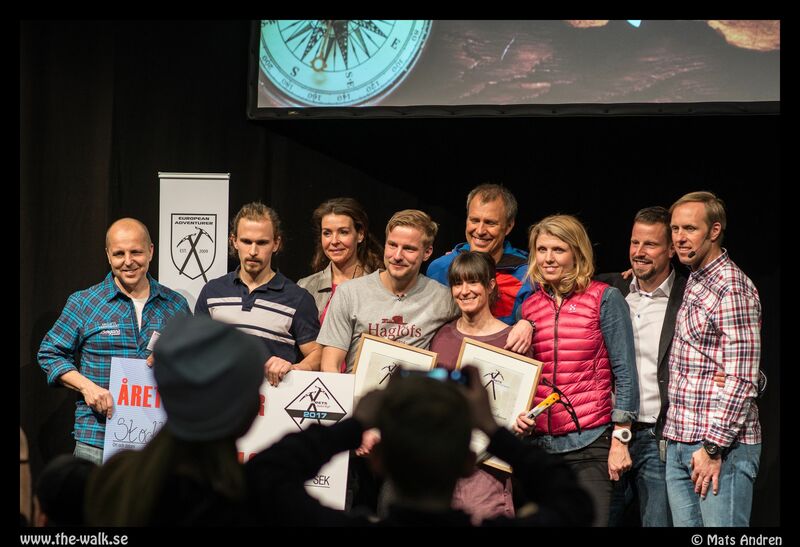 To be part of this group of people that pushes Swedish adventure forward, with creative outdoor projects that inspires others to do more. The winners this year were Johanna Davidsson and Robin Trygg. Johanna skied to the South Pole and used a kite and skies to get back to the coastline again. Visit her homepage here. Robin Trygg won because of his second Everest summit, this time from the Tibet side of the mountain. View his homepage here. I wanted to win and was thinking that with my creative Central America project and also becoming the first Scandinavian person to complete America’s top 10 summits I would potentially look forward towards receiving my second Adventurer of the year award. But the jury voted for Robin Trygg. There were many that would in my eyes be worthy winners of the award this year. 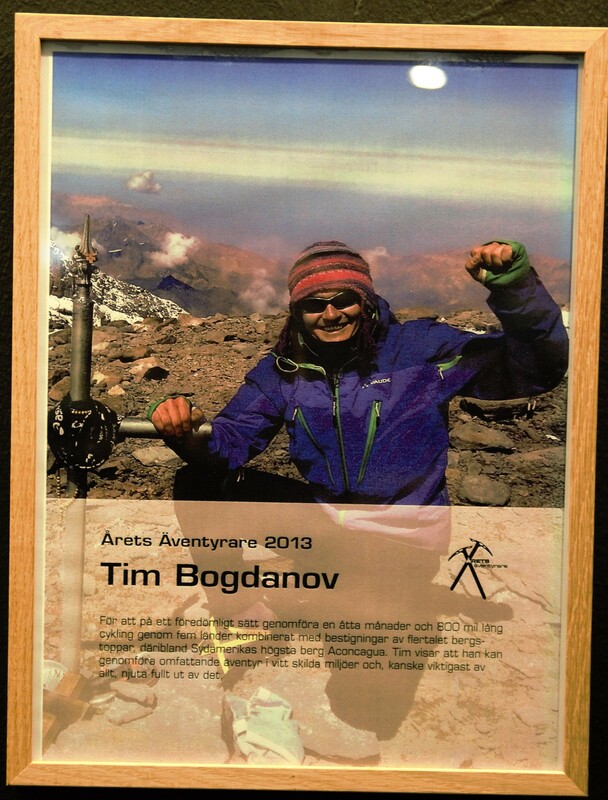 Its also really interesting to see the diversity and creativity in Swedish outdoor adventure and I am looking forward to try and win this award some other time again. It was also great to participate and meet some of the other nominated adventurers. 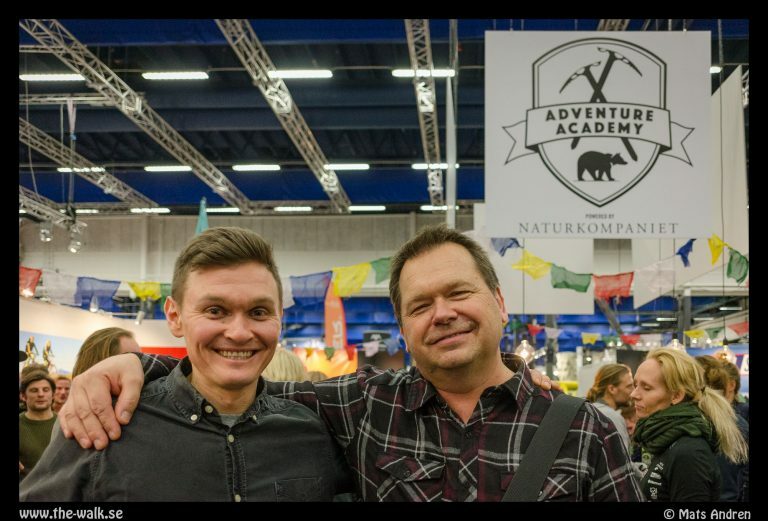 Some of the outdoor people I got to meet last weekend: Marcus Aspsjö, Jonathan Ljungqvist, Mats Andren, Sören Källqvist, Gabriella Ekström, Mikael Nyman and Daniel Roxvret. I also got to meet Magnus from Husky podcast that have pods with many of the nominees. We recorded a podcast together last summer and you can listen to it in Swedish here. Me and Mats Andren that also was nominated this years award, he walked all the way to Sydney from Sweden, quite an adventure, visit his homepage here. I want to thank everyone that took their time to vote on me. I appreciate everyone of you. Also I want to highlight the effort of my employer PostNord did to help me win this year, it means alot. My belief is that I will win again in the future because I have decided that in the years to come I will push myself to new levels and as a result of that, the swedish adventure scene will also develop, grow and get more attention. This picture hangs in the adventurer of the year stand, reminding me of the time I won the award for cycling along the Andes and climbing some of the highest peaks along the way and carrying all climbing gear on my bike. That was a dream adventure of mine that I did solo and unsupported as most of my projects. Believe in your own adventures and start creating the experiences you want in your life!